Praise the Lord. God is good and His mercies are everlasting. 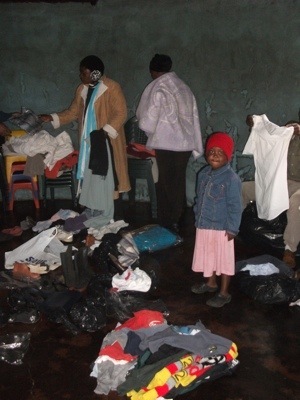 It is with great pleasure that we announce that this month marks the 10th year anniversary of the KwaZulu Mission. Started on the 26th Aug 2002, the mission has seen God’s faithfulness and mercies. In Romans 1: 13 Paul sought to gain fruit from his ministry. Many people sow and serve the Lord with all diligence and faithfulness but rarely gain the privilege of seeing fruit. Other people think they have fruit but what they have is hands raised in a meeting to pray a prayer for salvation but without conviction of sin or the reality of the Spirit’s drawing. Such “fruit” is temporal and not eternal. We praise the Lord that we have seen some fruit which is lasting and standing the tests and, God willing, will be kept for eternity. It is all by His grace. From the time when Caleb and Sophie Massey started the mission and Salvi joining them, with none of them knowing how to speak Zulu, we can thank the Lord for His guiding hand over people and the work. July was truly a month for thanksgiving as we witnessed the faithfulness of the Lord despite ourselves. 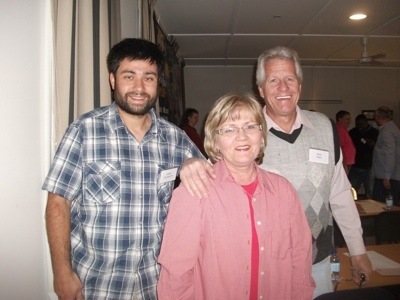 We were blessed to have a brief visit from Pete and Gay Moolman from the Bayshore assembly in Port Elizabeth. The Bayshore assembly, pastored by Alan Mackenzie, sent 4 big boxes of baby clothes and toys to be given to the creches in our areas. While they were here we had the pleasure of meeting a man called Errol who had been shot several years ago while serving in the police force. His testimony and courage was a huge blessing to us. 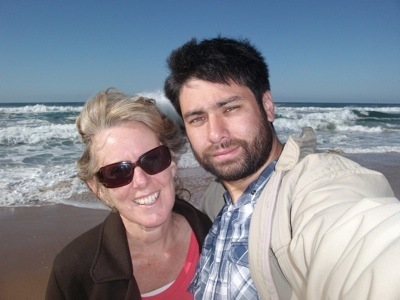 This month we also had the pleasure of Craig and Magda Boardman with their two sons stay with us for one weekend. They testified that they were really blessed by the studies and church service but wanted more teaching! They actually came to collect their caravan which they generously lent when we had our two big groups of visitors. In light of how busy we have been Salvi organised for a few days away in the middle of the month to give Di some time out. So after cell group on Tuesday night which is continuing going through the book of Romans, we drove to Stanger for two nights by the sea graciously given by dear friends who live their. 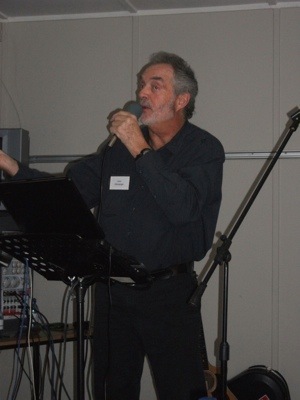 On the friday we met up with Pastor Calvin of 2 churches we are in fellowship with, co pastored by Mark Van Niekerk. We were meeting a lovely brother in the Lord called Leslie Crickmay and his co worker Kevin. They had recently planted a church in Ballito and it was so wonderful to see the unity that we have in Christ. It is possible that we may meet again and even share resources for the sake of the Lord’s work. After this we shared some wonderful fellowship with Calvin and his wife, Gracie, before spending the evening with Mark, Marie-Anne, and their son Dean with his wife Tarryn. Please pray for Mark who is suffering with severe migraines. Also please pray for Marie-Anne who’s father has just recently died. While there we had a problem with our fuel pipe leaking diesel. Pravesh from Calvin’s church very kindly fixed it for us and we are constantly encouraged by the love for the Lord that Calvin’s churches constantly display. A couple of days later, Pastor Jannie of Bethany Baptist Church in Vryheid with his wife Glenda took us to the Drakensburg area in order to attend the international congress of revival’s seminar. These are old time revivalists strongly preaching the gospel of repentance from sin and a need to acknowledge the holiness of God. It was a good reminder of some very basic truths that we sometimes take for granted. Sadly, before leaving our truck packed up again but Genrod, once again, kindly came to the rescue. This allowed Phumlani to sell and continue the ministry while we were at the congress. 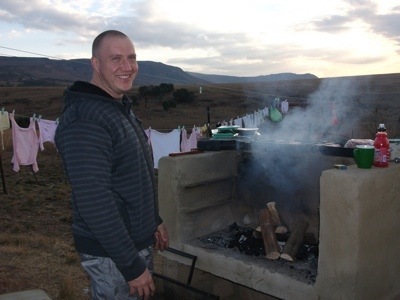 Upon returning we prepared for the visit of an old church friend, from Aletheia days, called Morne Lombard with his son, Joshua. It was Morne’s mother who upon first seeing Di had constantly prayed for us to be married from day one. She provided Salvi’s wedding band and a month before our marriage she passed away in the very home that we got married in. This was the first time that Morne had ever visited a Zulu home. Over the week leading up to their visit, Home Affairs had sent a text message notifying Salvi that his application for extension of temporary residence visa had been finalised and we had to go to home affairs after five working days to find out the outcome. Morne arrived on friday to a smashing welcome. While Salvi was going to meet him, Salvi ran a stop sign and ended colliding with two other cars. 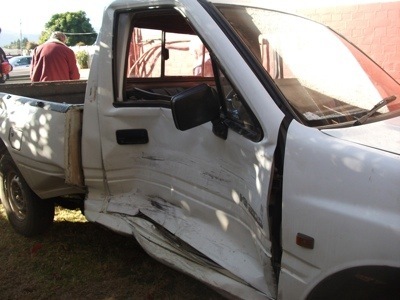 The truck doors were both severely smashed so it took time for Salvi to be freed. However he only suffered small cuts and a bump to the head. The other drivers also did not suffer major injuries. We thank the Lord! 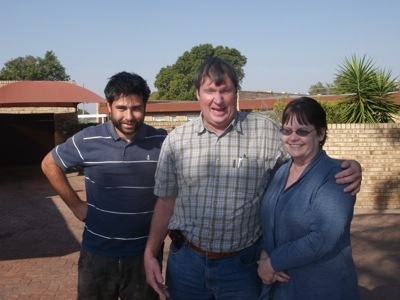 Our dear friends from Genrod kindly took Di to the scene and later gave us, Morne and Joshua supper and coffee. Due to the accident we were unable to do the bible study with Jonny and Kim. This month Phumlani and Salvi have continued to preach in Ngenitsheni. One day a lady called, Mrs Mthethwa claimed to have responded to Phumlani’s preaching and given her life to the Lord. When we asked what her husband would say with her leaving ancestors, she said that it doesn’t matter because he is dead! We are following up with her but it seems she may not fully understand the gospel. Another lady had told her grandson to speak to us when he saw us. Her son said that the Gogo, called Mrs Manxele wanted to talk about the gospel. When Salvi visited her the following week she said that she wanted salvation and wanted to know the truth. When Salvi and Phumlani went with Morne to visit her she wasn’t there as she was attending a funeral. This last saturday Salvi took Jabulani to visit her and she seemed so open to the gospel even agreeing that ancestral traditions are incompatible with biblical truth. She came to the church meeting today and was very encouraged by the testimonies and the word preached. Please pray for her, she seems so close to salvation and is desirous for a sunday school for her children. It seems that we are starting a bible study in Ngenitsheni on saturdays for her and whoever else wants to attend. We were also blessed by Celani’s sharing in church this morning. A couple of children in the Kid’s club go to a Zionist church (not a church that believes in Israel but one that mixes biblical things with ancestral traditions and witchcraft). Their mother testified to Celani that at some of the meetings in the area and in Johannesburg the preachers had asked the congregations questions which these children answered leaving the preachers amazed at their bible knowledge. They asked the children how they knew these things and the children answered that they had learned them at kid’s club. 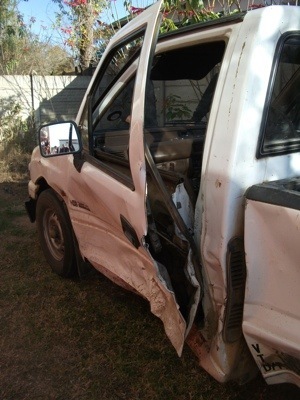 At the moment our Bakkie is being repaired by a panel beater who is a brother in Christ. Praise the Lord that the Chassy is not bent and engine is all fine. In the meantime Genrod have lent us a Bakkie until ours is fixed so that we can continue in the work. We have been astounded by the support and kindness of so many people both in Vryheid, Port Elizabeth, Stanger and overseas in Iowa (USA), Melbourne & Brisbane (Australia), New Zealand and the UK. As I write Phumlani and Thabi have just returned from a week’s visit to the Pretoria brethren who meet with Mujuru and Clayton. We trust that it has been a time of growth, encouragement and stretching in ministry and the faith for them both. 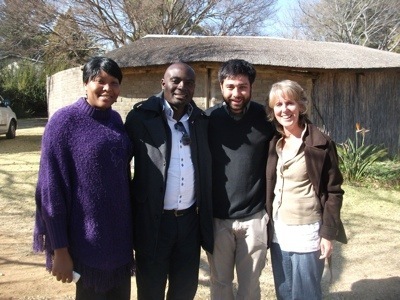 It was ten years ago this August that my wife and I helped start a work in South Africa among the Zulu people. It is a joy to us to know and see how it continues to progress and mature. Our friend Salvador, or Msindisi as the Zulus call him, was with us back then in the beginning and now he is currently there and still preaching and teaching the Word of God. We were there fives years and now live in America beginning another ministry. The work we do here is really a progression of what we did and learned there. I can remember when we started in South Africa we didn’t know anybody, had no resources and didn’t even speak the language. Just recently I did a teaching for our fellowship here and looked at the excuses that people make to Jesus about why something can’t be done. Remember the man at the pool of Bethesda? Jesus asked him, “Do you want to be made well?” He did not respond with a “yes” or a “no”. Instead he gave an excuse as to why he was not healed? “Nobody helps me into the water and somebody always gets there before me.” He thought it was all up to him to be healed. He was wrong. Or what about when there were 5000 men whom Jesus wanted to give lunch to because they were out in the middle of nowhere to hear Him preach. He asked Philip to give them something to eat and Philip’s excuse was “We don’t have enough money to feed these people even a little bit each!” He thought it was all up to him to be the one to feed that crowd. He was wrong. We were there in KwaZulu-Natal with really nothing but Bibles, prayer and each other. And the Lord. The crippled man at Bethesda had nothing but the Lord; Philip had nothing but the Lord. The Lord does not want our excuses. He didn’t care that I thought back then, “We have no resources, no money.” Did Philip? What do you need to do a work for the Lord? A thousand dollars? Ten thousand pounds? A million Rand? No. None of that. Sometimes Salvador would walk from kraal to kraal and read the Bible to the people who lived there. We prepared Bible studies from the Bible. We didn’t have ‘bible study books’. The Bible was our Bible study book. There was demonic activity in one of the local schools. We didn’t drive there and talk to anybody, we simply prayed as a fellowship and the evil activity stopped. Jesus can do that. We didn’t have a building to meet in for church, so the church met in the home of Celani. We had gardening projects but realized that spiritual food is more important. We helped run a mobile medical clinic but learned that spiritual health is more important. Everything we did at a temporal, hands on level we learned that the deeper spiritual, God is active level, was more lasting. Bible, Prayer, Fellowship. Those were the things I left South Africa with and will never forget. We gave away a lot of Bibles. The trouble was getting people to read them and apply what it taught. One day our friend Phumulani was walking to our place for a Bible study. His eldest brother was going past and he laughed at him saying, “Are you still reading that book? It will make you go mad.” This is a man who lead a local ‘church’. Sadly he was killed last year. 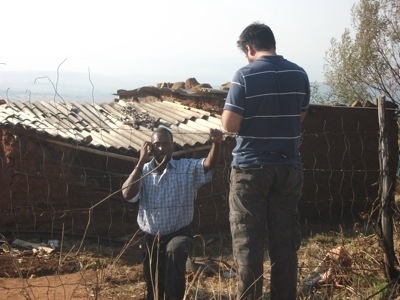 Phumulani continues to study the Word of God and preach it to the people around him. I was once doing a teaching on the Ten Commandments in Esihlengeni and a girl said, “You’re saying that God doesn’t want me to sleep with my boyfriend?” I said to her, “Do you want to be pregnant without a husband? Do you want to get AIDS and die young?” She said, “No.” Then I said, “Neither does God. That is why these commandments are there for your protection, not because God is mean.” Man is a spiritual being. His faith will be in something. Either God, a false God or himself, but his faith will be put into something. Zulu people loved having a Bible but very few of them read it and even fewer applied it. They had their faith in something other than the God of the Bible. One thing I realized when I began to spend time with African people is that they do not need to be convinced of the existence of God or the spiritual world. When the Bible says, “In the beginning God…” many people in the developed world begin to argue and question whether or no there is even a God/god. Not in Africa. They take for granted that there is a God/god. The question there is: How do you follow that God/god? The Bible is the only true and reliable guide. 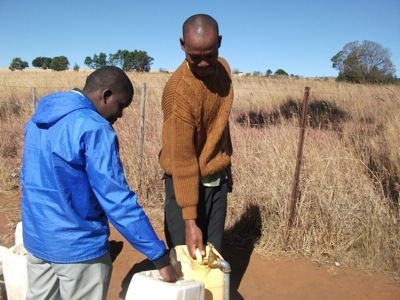 Fellowship is highly important to the believers in Zululand. Africans are extremely social people. Everything revolves around relationship, first with family, and then with tribe. Relationship happens on different levels, but among Zulu believers the idea that “I’m South African! !” falls down the list a bit. I remember a conversation I had with Pastor Mandla. He told me that he and other pastor friends of his listen to American preachers on the radio quite often. He said that sometimes they did not see themselves as being very good Christians because they were not as patriotic about South Africa as American preachers were about America. Myself being an American I was a little embarrassed about this. Mainly because I knew that America prided itself on being a “Christian nation”. I told Mandla to ignore that element of their preaching. Personally, I needed to strip my own teaching of anything and everything “western”, “American” or “British.” The language of the Bible was what I needed to use in teaching and evangelism in addition to illustrations from South African and Zulu life. In doing this the fellowship was enhanced. My goal was not to create a little Western/American church in the middle of Africa, it was to create a Biblical Zulu church, a Biblical Zulu culture and a Biblical Zulu society. Praise the Lord that Salvador and Phumulani are still there working toward that goal. We still remember our friends in the church we were a part of there and think of them often, and pray for them. The fellowship still continues through letter writing and, joy of joys, when we all gather together with the Lord in heaven. Prayer, Bible, Fellowship. It is so simple, and yet so deep. After Jesus, these three ideas are the key elements of the church. Let us pray that we may keep them pure and not get distracted by the ways of the world and the lies of the enemy. Let us transcend time and space in prayer, coming to the throne of grace boldly by the blood of the Lord Jesus. Let us hear from our Lord through the pages of His holy Word and have it be our guide and bread of life. Let us love each other as we are commanded, pray for each other and edify each other in Christ that we may grow into a strong and expectant church ready for the Lord’s return. I thank God that 10 years on the KwaZulu Mission is still active. May it continue to preach the truth until every one has heard the gospel and come to a knowledge of the Lord Jesus Christ. For those who are interested there is a website with three audio messages uploaded that concerning the building of the Church and having a Zeal for God’s house. These messages were recorded in Port Elisabeth, South Africa 2011. http://www.sermon.net/msindisi . We have corrected the message entitled “Haggai” to contain the right audio file. More teachings will be posted in the future. VISA update. We still have not as yet got any news concerning Di’s application for extension for Temporary Residence Permit. Her application is in process. Please pray for the Lord to guide her applications according to His will. But to end this newsletter we can finish with a note of thanksgiving. Salvi received his renewed Visa for another three years. This is a real answer to prayer as legally we were supposed to lodge a form when we joined Road to Recovery Christian Fellowship when we changed contracts. We serve a faithful God. In the words of Psalm 34, “Let us exalt His name together.” Please keep Di’s frozen shoulder in prayer. “We stood by the roadside stall to buy spinach ( Our favourite vegetables). My wife got out while I remained in the car with my two sons, Benny and Brandon in the back seat. All of a sudden I viewed on my mirrors a white small Datsun sedan coming towards the car. It hit our stationary vehicle from behind. The driver had had an epilespy feat. We survived no serious injuries though the boys complained of neck and head pains. They are now in the Far East Rand Hospital. We thank God that we survived. P.S Please don’t forget to look at Salvi’s petition concerning ecumenism in the Lausanne consultation for Jewish Evangelism which has been signed by several people including Jacob Prasch and others from Moriel ministries and Jackie Alnor among other people. For more information please visit http://www.lausannecje.wordpress.com and for the petition please visit http://www.ipetitions.com/petition/lcje . Salvi is hoping to have it sent or delivered to the members of LCJE in the near future so please sign it if you have not done so already and also feel strongly against ecumenism infiltrating the evangelical camp. We have reached 100 signatures but one of them is not a true signatory and three others are filled by one man who wanted to withdraw his signature after believing that the petition was a mild endorsement of Lausanne Consultation for Jewish Evangelism. So we still need three signatories to reach the target of 100 people so that we can present it to leaders of LCJE. Please pray that the Lord might lead some helpful people across our path to present the petition and corresponding articles to members of LCJE. In the last session we saw that God was merciful to both the House of Ahab and to the Arameans who sought to capture King Jehoram. Judgment was set aside for Jehoram but the time of judgment had not come yet. Until that time we see a period of grace. Grace was shown to the Arameans because it would be under Hazael that the Arameans would fatally wound Jehoram. So the Arameans would not successfully capture Jehoram because Hazael was the appointed vessel of judgment and not Ben-Hadad. In Ezekiel 33: 11, God says that he has no pleasure in the death of the wicked; He would rather have them repent. And often before complete judgment is rendered, God often brings little tasters of judgment. Before the Judgment makes desolate God takes away a portion as a taster of what is to come, that men may be warned and be left without excuse and also that some may repent. We remember that judgment was declared against Judah but because of the revival led by Josiah that judgment was held back for a time. Judgment would come against Israel and it would come during the reigns of Hazael and Jehu but the judgment could have been postponed if Jehoram was truly repentant. Yet his respect of God was not real but surface. We have to examine the text in light of what was happening to those people and what the text meant to the people to whom it was written. And then in the light of that we may see what God is saying to us, morally, prophetically and spiritually in terms of the covenant that we are in. In the last study, that meant that we must see things through the eyes of faith and for that to happen God must open our eyes that we may see the greater reality of the spiritual realm. And for us, as post-ascension people, we can see that the text gave us a picture of Messiah who would bring in an age of grace and yet not to such an extent as to completely spare this world from judgment. God is slow to anger but with enough provocation His anger will eventually arrive and when it does it will be terrible. Under Elisha we saw that the marauding band sent to capture him, could have been killed by Jehoram who was eager to execute them, but instead they were shown grace. According to Josephus, they were given a lavish feast and then released. And then verse 23 says that the marauding bands stopped coming into the land of Israel. And if we stopped there it might look like a happily ever after ending, except that it is not. With the grace shown to Ben-Hadad’s men you might expect him to be touched by this gesture of kindness and seek peace with Israel out of gratitude. But war is war. Rather then relent, he quits the use of marauding bands and instead brings on a full on assault against Samaria by besieging them. This siege was not the only one of its kind in Israel’s history but it would happen again in Jerusalem with the Babylonians and also in AD 70, also in Jerusalem. We have a repetition of experience as a teacher of God’s salvific and prophetic purposes for Israel that will find it’s full expression in the time of Jacob’s trouble during the tribulation, according to Luke 21: 20 when compared with Matthew 24: 15 – 20. The idea of the siege is not to conquer in terms of a typical battle between armies fighting each other but to starve the people in order to storm the place. The siege brings a famine. The famine is so bad that the price of food escalates rapidly. There is nothing left for people to eat and so people start to eat anything. The donkey was an unclean animal and there would hardly be any meat on a donkey but according to Ryrie, people were buying a donkey’s head for 1 kg of silver. And dove’s dung was bought at 55 grams of silver. There is a little debate as to what dove’s dung is. Some people say it was an Arabic name for some kind of pulse. People seem to have a problem with the idea that these people would have resorted to eating excrement. Yet these people were starving to such an extent that I may well believe they would have resorted to literal dove’s dung. But whatever it was one thing is certain, the famine was severe and people were starving. This famine seems to be the one that chapter 8 verse 1 refers to and if it was then we can see that the famine lasted 7 years. This was worse than the drought of Elijah which only lasted 3 and a half years. In verse 26 we read that the King was doing His rounds on the city wall, possibly to check on the fortification of the wall and its defences, when a woman approaches to ask the King for help. The king assumes that she is asking for food and he tells her that he has nothing. There is nothing in the threshing floor and nothing in the wine press. The is no grain and no wine. But this lady does not desire food from the king but she wants him to grant her justice, from at least her point of view. It seems that this lady had dragged along another lady with her because she refers to the other lady as ‘this woman,’ which seems to indicate that the other woman was there. These two women had made an agreement that they would eat each others sons for food. One son this day and one son that day. Her son was eaten on the one day and then the other woman hid her son. There are two reasons the other one hid the son. Either the son was alive and she could not bear to kill and eat him or that the son was dead and the mother wanted to hide him so that she could eat him all to herself. There is nothing of remorse about this woman, but rather she wants the King to bring justice in order that the other woman may disclose where she has hidden her son. What a desperate situation these people must have been in to even imagine doing such a thing. The unthinkable had not only been thought of but had also been done. Josephus believed that such a city where such acts have been committed should be left uninhabited. And the king is profoundly struck in such a way as he goes about mourning. He is brought to severe sorrow and grief. And the first thing he says is that he will take Elisha’s head off. He had wanted to slay the Arameans that were captured but Elisha said to let them go. It is like the Middle East when Israel show kindness to their Palestinian neighbours, such action is not seen as a sign of kindness but a sign of weakness to be exploited. This is the way it must have seemed to Jehoram. Because of Elisha’s order to feed the Arameans and then to let them go, now Aram had besieged Samaria and they had been brought to such a point that 2 women had made an agreement to eat their own children, while the man of God was sitting in his own house. In Luke 19: 44 Jesus claimed that this calamity would come down upon them because they did not recognise the time of their visitation. At the instigation of their leaders, apart from a remnant, they had nationally rejected their Messiah which was akin to idolatry, witchcraft and injustice. It was the same situation as in Jehoram’s day. But did not Jehoram repent and get rid of the Ba’al worship? It was no revival that Jehoram instigated. Jehoram was no Josiah. The idolatry still continued because he had left the golden calves in Bethel and Dan. Jehoram blames Elisha for something that he himself was guilty of. By unjustly sentencing Elisha to death he was thus guilty of putting to death a righteous man and thus stood as a murderer. We can well understand that Jehoram was pushed to the limit. He was at his wits end. He had expressed his mourning in clothes that symbolised repentance or deep grief but that still did not minimise the fact that he wanted to put to death an innocent man. From outward appearances it would seem that Jehoram was righteous and that Elisha was unconcerned for the plight of the Samarians. But this could be argued for many that undergo troubles in this life. They ask, ‘what have we done to deserve this?’ and they have no idea of the severity of how God sees their sins and rebellion against Him. They believe they are innocent of mortal sin and yet the scripture shows us that all have sinned and are continually falling short of the glory of God. Why will the world rejoice when the two witnesses will be slain? Because the two witnesses will bring plagues against a world that sees it unwarranted to go through such suffering because deep down inside we are all good people! By condemning the innocent to death, they are murderers. So Elisha, by the Spirit of God warns those with him that the son of a murderer was on his way to chop off his head. He is the son of a murderer, not simply because Ahab was his biological father, but also because he was in the character of a murderer. As Jesus said in John 8: 44, “You are of your father the devil, and you want to do the desires of your father. He was a murderer from the beginning, and does not stand in the truth because there is no truth in him. Whenever he speaks a lie, he speaks from his own nature, for he is a liar and the father of lies.” Like father, like son. Jehoram was of his father the devil and wanted to do the desires of his father. Jehoram did not follow the truth because the Truth was not in him. Under pressure, Jehoram spoke from his own nature because he was a liar. He feigned repentance. Elisha made sure that the elders held the door fast against the messenger and when Jehoram saw it he was faced with the reality of the situation. This whole siege was from the Lord. And yet, when he understood that the Lord was behind it, did it drive him on his knees to seek the Lord and turn away from his sins? No, instead he pathetically said that because it was of the Lord there was no point in waiting on the Lord. It happened before that when he was in dire straits he gave up saying that the situation was from the Lord. He did not perceive that God may have been using the danger to bring Jehoram on his knees. With this king it was about living his own way in the good times or treating these times of judgment as if they were matters of fate that he could do nothing about. Jehoram recognises God’s hand but not His purpose in it. He had seen the supernatural at work and after this day there would still be more miracles for Jehoram. He had been given every opportunity to repent and he had rejected them all. Surely now God’s hand would crush him. But God is longsuffering to him still because the time of judgment had not yet come. There was still a period of grace. Elisha prophesies that there will be flour and barley sold at an inexpensive price. There will be food to end the famine. Though not rained out of heaven, as we will see, the miraculous was involved in the supplying of the food. A senior officer, (literally a ‘Third’) expressed his disbelief in the possibility of God’s provision. Thus he is told he will see it but will not eat of it. There is no real belief from Jehoram’s men that this will happen. Even when it does, it is treated with suspicion. They have experienced famine, the food is coming and yet there is no or little belief in it. Who is it that partakes of the food? It is the outcast, it is the lepers. They partake of the food before the rulers do. Though the rulers were told first, the people get through to the food though the King takes measures to control the access to the food. The provision of the food was from God. Though the food came from the Arameans, the manner by which it was left for the Israelites was a miracle from the Lord. The whole army heard the sound of chariots and horses. Some people argue whether it was an audible sound or was only heard in the ears of the Arameans. Whatever way it was does not matter. If it was audible it was a miracle, and if it was only produced in the minds of the Arameans it was still a miracle for illusions are not experienced by a mass of people but are individual. 5 people suffering from hallucinations will have 5 different experiences. The whole army of the Arameans heard the same thing. And so afraid were they that they fled for their lives. The lepers came to the food, they ate and drank and carried off gold, silver and clothes and hid them. But then something starts nagging at their consciences. They have eaten, they have partaken in riches and now they start to realize that they have an obligation to tell others. These lepers were afraid, not because they might get found out by people and then punished by people but in verse 9 their first words are “We are not doing right.” They realise that it is not just a case of the jealousy of other people that will result in their punishment. They knew that what they were doing was wrong. It was a moral issue that would bring judgment on them. They were God fearing. Thus they were secluded from society because the Law of God pronounced that judgment on them. Much more righteous were they than Jehoram who entertained the presence of Gehazi in 2 Kings 8: 4. Gehazi had the leprosy of Naaman. Charles Ryrie asserts that Gehazi must have had a form of leprosy that did not require isolation but this is not true to what the Bible says. 2 Kings 5: 27 says that Gehazi received the leprosy of Naaman and he went out from Elisha’s presence a leper as white as snow. I do not know how much more leprous can a person get. The truth is that Jehoram did not follow the Lord but these lepers did. They were outcasts and condemned to be so by the Law and yet they were the first to partake of the food and the riches that the Lord had prepared. When the news came to the king he was reluctant to accept it believing it to be a trap. It was only at the behest of one of his servants, who said that the scouts were practically perishing anyway so why not send them to find out if it was true that he sends them out. Before the king can do anything, the common people are already plundering the camp and the food was being sold at the price that Elisha had prophesied. The king was too slow in getting there. And when he hears about it he stations the unbelieving officer to man the gate and bring some measure of control. He sees the food but he does not eat of it. Such is the price of rejecting the Word of the Lord, you will not partake of its blessings. Instead he was trampled to death at the gate.